TORONTO • Documentary film- maker Chris Moukarbel took Toronto audiences backstage to meet the real Lady Gaga last Friday, in a sketch of raw humanity at the height of stardom. It might also be the last glimpse of the singer for a while, as she said she planned to take a break after the current Joanne World Tour ends in mid-December. 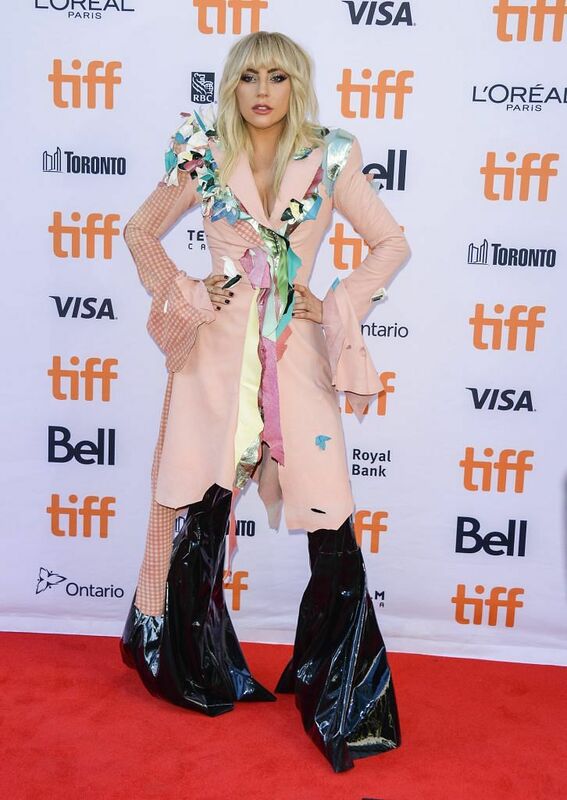 "I'm gonna take a rest, I don't know how long," she told a press conference at the Toronto International Film Festival for the premiere of the documentary Gaga: Five Foot Two. "That doesn't mean I won't be creating. It doesn't mean I don't have things up my sleeve that I'm not going to tell you today. But I'm looking forward to reflecting and slowing down for a moment and healing because that's important." Gaga has stamped her mark on the last decade of popular music, fusing together club music, glam rock, pop and outrageous fashion. At the same time, by confessing her own traumas, she has inspired countless marginalised young people to manifest their gender, sexuality and identity. She revealed in 2012 that she had wrestled with bulimia and anorexia from the age of 15, prompting a debate on social media and beyond. The Netflix film Gaga: Five Foot Two is an intimate look into the personal life of Gaga, born Stefani Joanne Germanotta. The singer "shows so much humanity in the film", said Moukarbel. "It comes out in (her) music and interviews, but this was a way to consolidate a lot of that vision and let people have access to (her) as a person," he said. "I think in a lot of ways, people will learn from it. For young women and girls, I think (it's) a story of what it means to be both powerful and vulnerable, and be generous." The film opens with Gaga having just turned 30, reflecting on break-ups, a squabble with singer Madonna and how to redefine herself. Moukarbel follows the singer as she recovers from the mixed reviews of her 2013 album, Artpop, and pushes herself to deliver a follow-up, Joanne, last year. But the physical demands of constant performances and her pursuit of the highest standards night after night take their toll. "I'm a woman struggling now, instead of a girl," Gaga says in the film. During the press conference, she teared up when asked about her struggle with chronic pain, which forced her to cancel a Sept 4 performance in Montreal, Canada. "There is an element and a very strong piece of me that believes pain is a microphone," she said. "My pain really does me no good unless I transform it into something that is. I hope that people watching that struggle with chronic pain know they are not alone." It has been a decade since she emerged as one of the top stars in the world, with hits such as Bad Romance and Born This Way. She has sold an estimated 27 million albums and 146 million singles worldwide. She also recently played live at the Super Bowl - a climactic moment in her career, she confesses - and just wrapped a remake of A Star Is Born, with Oscar nominee Bradley Cooper, which is scheduled to be released next year. After the Toronto screening last Friday, Gaga was scheduled to perform live for a relatively small audience, after two sold-out arena shows here last Wednesday and Thursday. "It's a wonderful time, a very real time," she said. "But that's not to say there weren't extreme highs," she said of stardom. "My life has completely changed in the most wonderful way that I would never take back, but it also included the lowest lows."